ChargePoint Services is adding 50 rapid chargers to its GeniePoint network at key locations nationwide. ChargePoint Services is deploying 50 rapid chargers to its GeniePoint network. 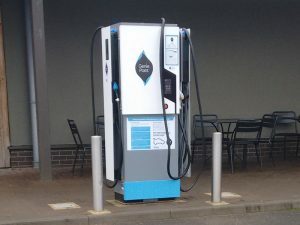 The chargers from French EV hardware supplier EVTronic will be deployed over the next three months and are fully scalable as well as offering smart energy storage, enabling them to store electricity in times of low demand.